American Eagle is offering free shipping thru Labor Day! And going on now, you can get an additional 50% off clearance items. What a bargain! No code needed – price will reflect in cart. Hurry before they run out of sizes! Back to School has is firing up. You can now save 30% off of all regular priced items at Gymboree! No code needed. Shipping is a flat rate of $5, unless you spend $75 and then it is free! We’ve got another hot printable Kohl’s Coupon! Print out this coupon to save $5 off of a $25 or more purchase at Kohls! The coupon is valid through August 1, 2013 – in stores only. Amazon is offering the Stride Rite Dallas Sneaker for Toddler/Little Boys for just $15.67. For comparison, the Stride Rite site has these shoes for $38! For a limited time, Amazon is also offering 20% off your purchase of $50 or more of Kids’ Shoes with coupon code BTSKIDS1. Selection includes sneakers, sandals, loafers and more. Shipping is FREE with Prime (you can get a 30 day FREE trial here) or with a $25 order. If you are looking for fillers to get your order over $25, you can view our most recent Amazon deals here. 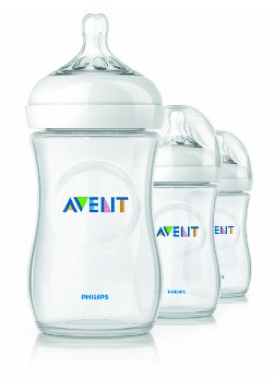 This is a great deal on the highly rated Philips AVENT 9 Ounce BPA Free Natural Polypropylene Bottles,3-Pack which Amazon just dropped down to lowest price of $14.03. That is 36% off the list price and works out to less than $5 per bottle. The Aden and Anais 2 Pack Muslin Burpy Bib, Monster Mash is only $16.99 on Amazon right now, regularly $22.00. That makes each bib about $8. Although you can get bibs for a lot less – these ones are awesome and worth the extra cost! Because they wrap around the baby’s shoulders, the coverage is much better which prevents a lot of mess! Once I started using these I did a lot less laundry. 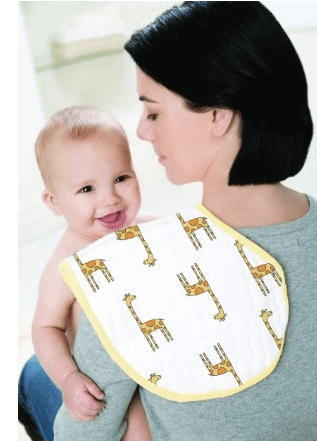 They’re reversible and can be used as a burp cloth as well. Plus they’re nice and thick and soft. Save 40% off your highest regular-priced item at Lands End through the end of the day today. Backpacks, lunch boxes and other school supplies should qualify for this offer. A $34 backpack, for example, drops to $20.40 after the coupon. Plus, get free shipping when you spend $50 or more. If you like Kate Spade (and awesome bargains), you’re in luck! The fashion retailer is now offering an additional 25% off on all sale items. Use online code: 25JULY at checkout. This offer is valid now through Friday, August 2nd. Ladies, rock your closet not your budget!